It’s common that a lot of us feel like a lot of times we are going around in circles not getting anywhere. When that happens, we are chasing our tail — so how do we get out of that cycle? It’s not easy — that is the first thing we need to understand. Some people will tell you over and over again, “Oh — this is all you do!” — if you are like me — you get sick and tired of hearing that. I am here to tell you that it is NOT easy and everything needs a bit of work. You have to develop something that works for you, so today — I am going to give you a few suggestions. Stage 1: Realize that you are no different from anyone else. It is just that those people are not chasing their tail when you see them. That’s what they do in private when they are not talking to the media, press, or to you. We are all busy and everyone has a lot to do. If they don’t, then they are not trying, and really not worth talking to. If I were you, and this was happening, I would find someone else to chat with. Stage 2: The main reason you are chasing your tail and not getting far is because you have too much to do. Everyone has too much to do. My to-do list looks ridiculous at the moment. I keep crossing stuff off that moves forward to the next stage, and then I try to convince myself that it is not getting longer. Now your to-do list is made up of a lot of things. Take a break — like 15 minutes, grab some coffee, relax and look at your to-do list. Look at it and just for today, re-sort it order of importance. Look at the things that are ranked as least important. Then ask yourself — do they really need to get done, are they that important, or can you just cross them off your list altogether? Now, look at some of the things and think to yourself– can I get someone else to do them? Do I have a colleague at work or a member of my staff that I can ask to help do these other tasks? You may not be sure if they can handle it, but you know your staff and colleagues. Ask them. Tell them that you are overloaded and that you need help getting some things done. Then ask them what can they do to help and if they need instructions on how you want. Your staff are good at thwy they do, so make the most of it. Don’t think you are the only one who can do it. This is a great way to get rid of some of those tasks. Stage 3: Look at some of the things you need to do on your list and see what you are procrastinating on. Now, you may find this funny — I have some podcasts coming up about procrastination. I was going to do them last week, but I put them off because I didn’t want to do them yet. Yes — I sometimes procrastinate too. We procrastinate, me included – don’t worry about it — everyone procrastinates! It’s just human nature. There are things we don’t want to do. You need to realize that these are things you are not excited about doing. Put that one down at the bottom of your new list, and try something else. See if you can get some other things done, because if you start to get some things done, you start to feel a little more productive and you will probably start to feel a bit better and feel like you are getting somewhere. Perhaps that will help you attack those other things with gusto, or maybe not. You might wind up passing those on to someone else to finish as well. Stage 4: When you have something that does need to be done, take it and break it down. Now, I know that is probably a mini task that came off of a large project that you have already broken down, but break it down again. Take that task and see if you can break it down into 4 or 5 things or their smallest components. Give them numbers and then do them in order. Break them down into little bite sized portions. Now, you may be thinking — that’s not going to get anything done. Yes it is, because if you do one thing for four days, that is 4 things you have gotten accomplished. These things add up, so keep going! Break that task down into something small. Work through them and get stuff done. When you have done one thing, give yourself some kind of congratulations. Allow yourself to watch a movie, go out for a meal, grab yourself a cup of coffee — do something to reward yourself. Then go and do another, and another, and when you have finally completed all the steps to that task, sit back and tell yourself what a great job you have done — and then share it with someone else who understands. If you are chasing your tail, you have to get work done, and by doing this — you are getting stuff done. It may seem like there is a lot still left to do and you are not getting far in the business portion and you are not achieving anything. If that is so, look at what you are doing and figure out what is holding you back. Today is Tuesday, and that means it is time for a Toolbox Tip! Today’s tip is a color picking tool called Paletton.com. When you are designing your website or an image, Paletton will work with your photo to choose corresponding colors. It does everything from reverse, negative and more. You can choose a second or a third color to go along with your original color. 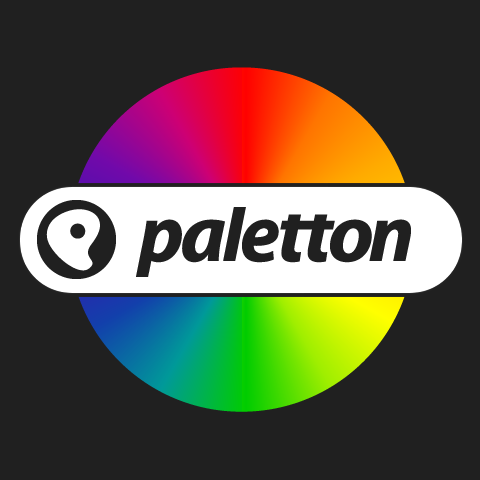 Go try it out — put your main color into Paletton, hit the button and see what happens. In fact, you don’t even have to hit a button — it just does it. It supports hex code and other things like that. Paletton.com is free — so go check it out. I’ll see you tomorrow. 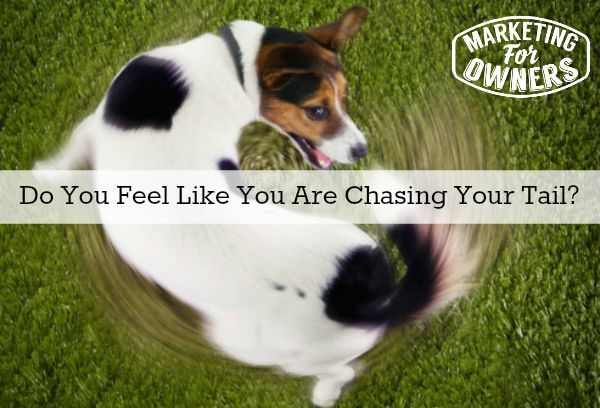 What is causing you to chase your tail?